All plans can be customised to suit your needs, please get in touch for a quote. * Free domain unless you have a domain name already * Hosting is not included. 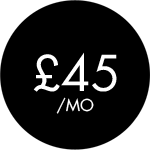 Hosting is £14.99 per month. If you wish to add photography to any of these plans, then please do get in touch for a quote. If you are on a tight budget you can pay monthly, these plans below can be customised to suit your needs. 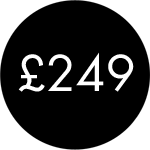 * maintenance fees are £20 per hour after allotted time is used. * Free domain name unless you have a domain name already. If you wish to add photography to any of these plans, then please do get in touch for a quote.